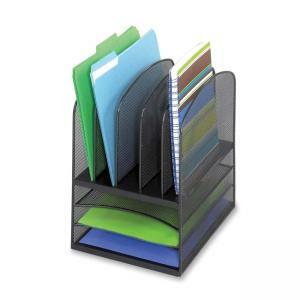 Mesh Desk Organizer offers three fixed 1" horizontal letter trays and five upright 1" file sections for easy storage of small binders or folders to keep your office organized. Design features steel mesh with a black powder-coat finish. Organizer weighs 2 lb.